Awesome accent color. Be careful about putting a desk in the middle of the room like this unless you have floor outlets! Tiled flooring isn’t usual for an office, but it works in this corner space of an office. Antique desk with two different legs. Love the splash of blue of that lamp! 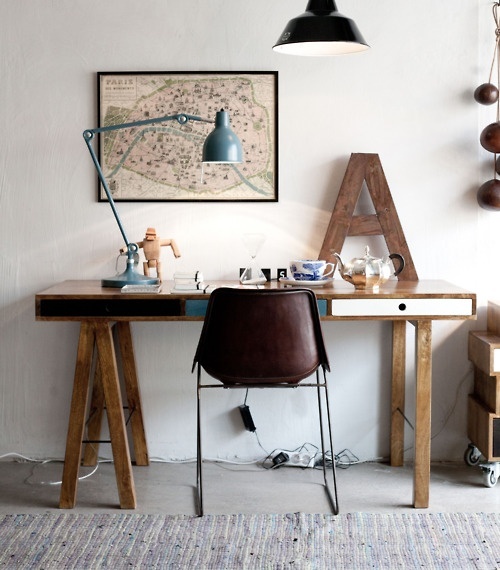 Would love this work space! 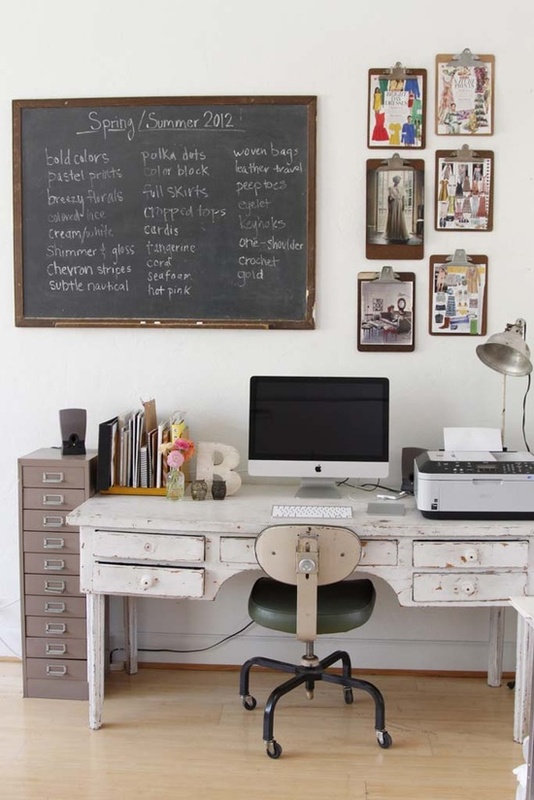 Great, solid desk with some really fun over-sized wall pieces. The idea board would get a lot of use- the key to idea boards is making sure you update it every few months to keep it from getting cluttered. 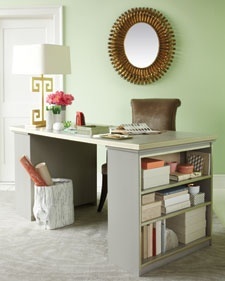 Make your own desk with two bookcases! 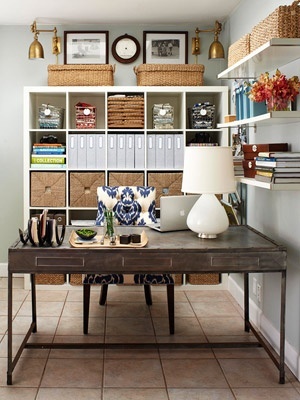 Floating shelves create visual mass without the weight of a desk hutch. This entry was posted in Room Files and tagged Offices. Bookmark the permalink.